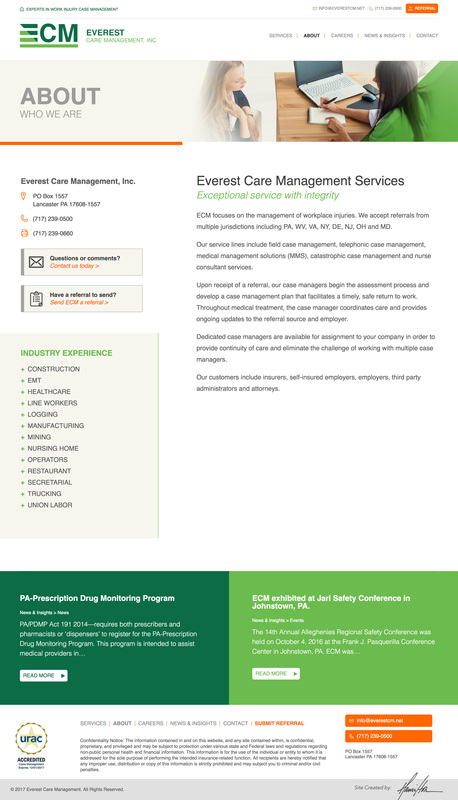 Everest Care Management services is a case management firm based in Lancaster, focusing on workplace injuries. 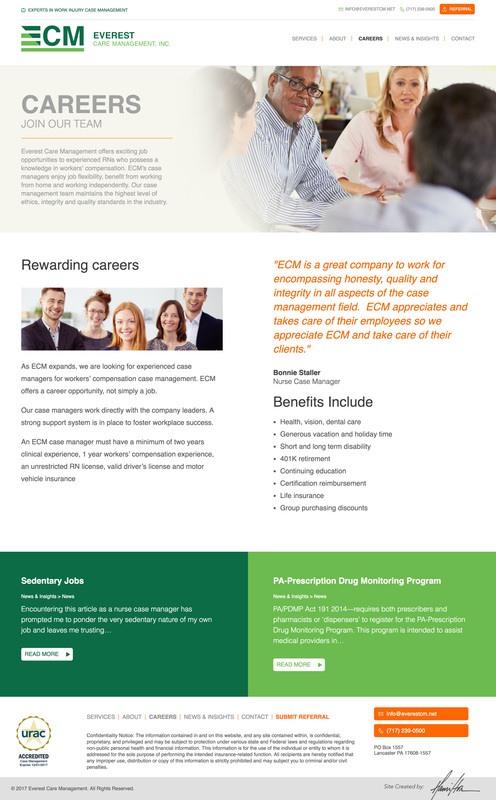 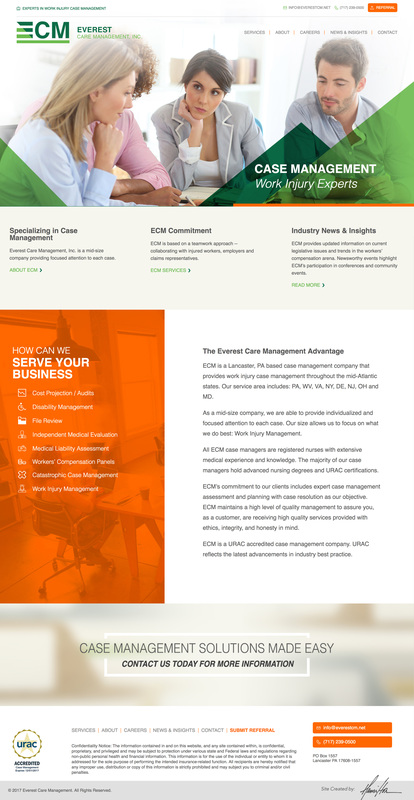 Hamilton helped ECM to inject life and enhanced functionality into their brand through the redesign of their site. 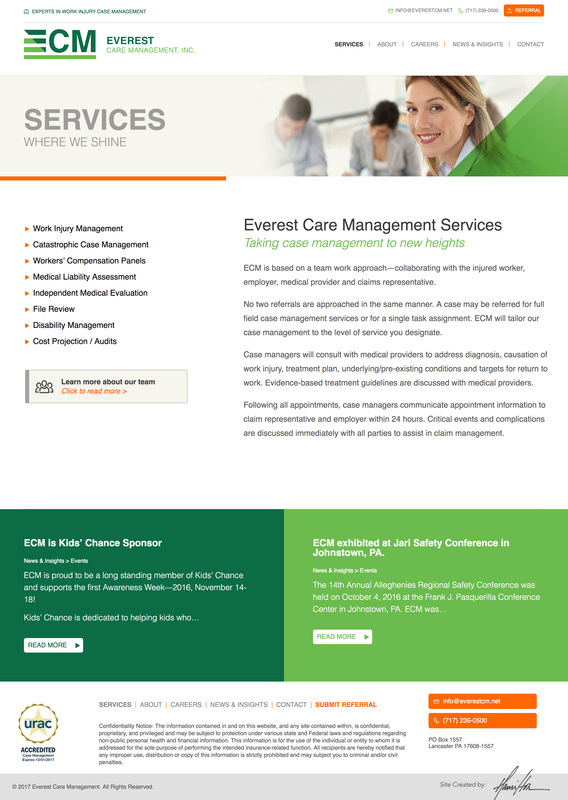 ECM indicated to Hamilton that their site felt dated and lacked brand personality. 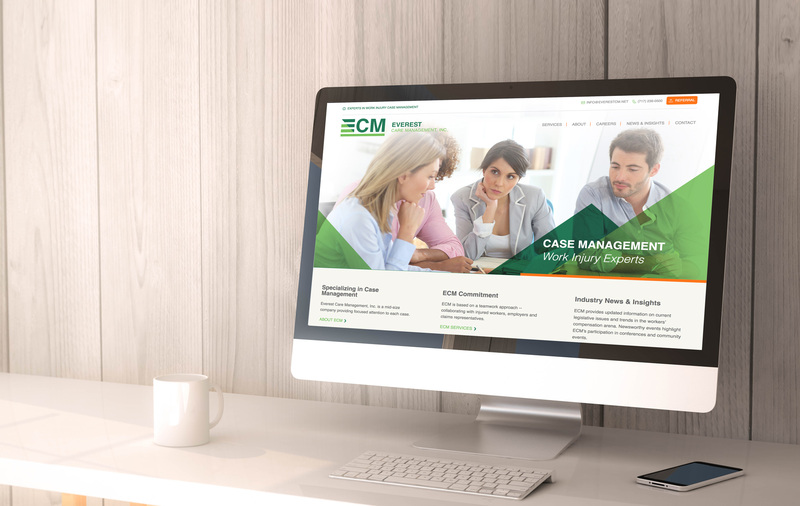 Hamilton’s charge was to tie the design approach to ECM’s brand while lifting the user’s experience on the site. 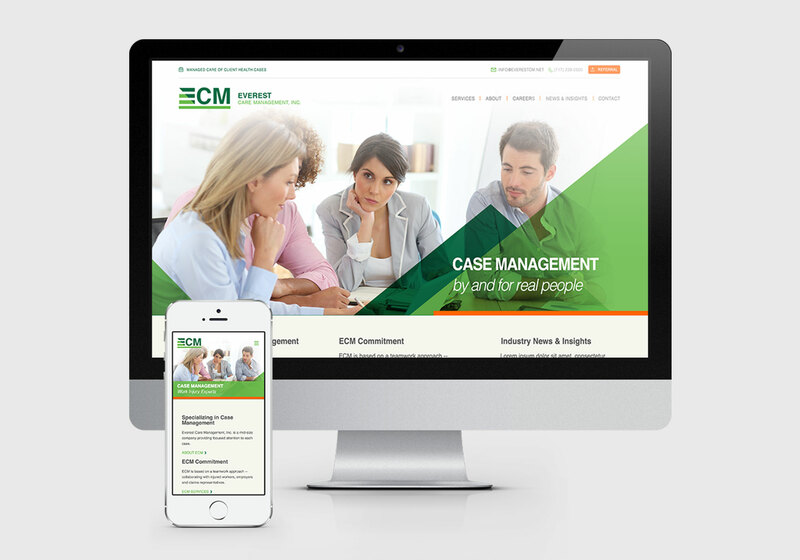 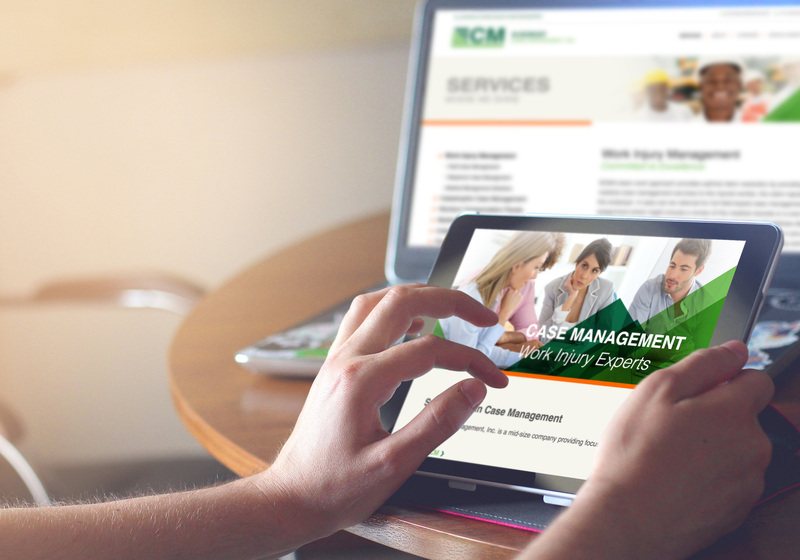 Our team worked to create design elements such as the sloped shapes on the home page that mimic the ECM logo architecture. 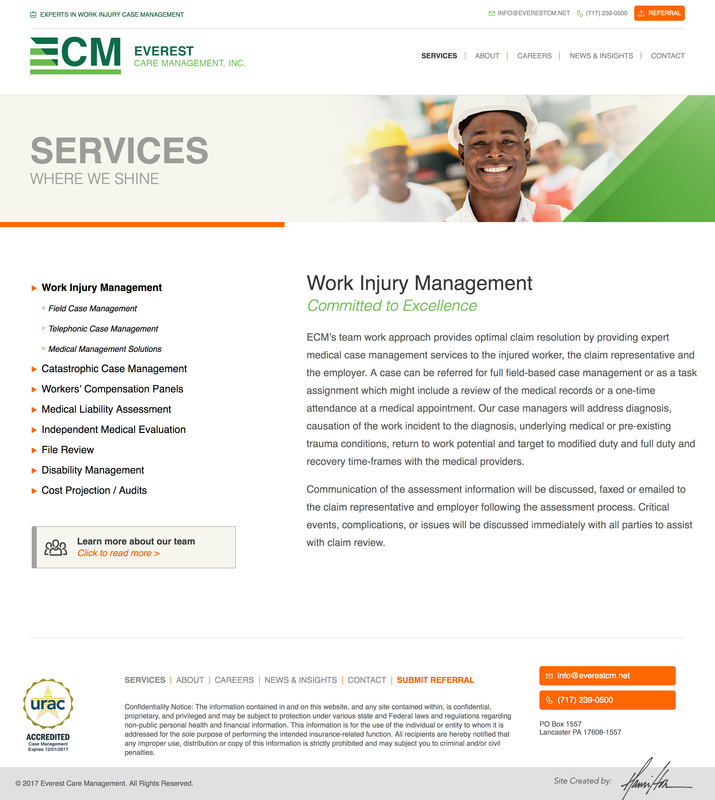 We also shifted the design from an operational mindset to people focused while also simplifying the navigational experience.